At first look you may feel that Lenovo ThinkPad Tablet 2 is another Windows tablet, but it is core functionality that separates this device from others. This device is featured by RAM of 2G, 1.8 GHz Intel Atom Z2760 processor and houses storage capacity of 64GB under experience of windows 8. It looks professional with black plastic cover of PolyCarbonate/ABS on magnesium internal frame. Lenovo ThinkPad Tablet 2 weights only 1.21 pound and measures around 7 by 10.5 by 0.34 inches (HWD). Being a standalone tablet, ThinkPad 2 has a unique design that looks better than other 10-inch Atom tablets. The tablet is extremely comfortable to hold. It has generic soft touch and rounded edges to enhance its finishing. The ergonomics of this device are truly perfect. The left side landscape edge is curvy and creates room for slot at the place where pen is stowed. This is real good news for users, as you can get little extra space to rest your left thumb finger on rubber instead of tablet’s glass. 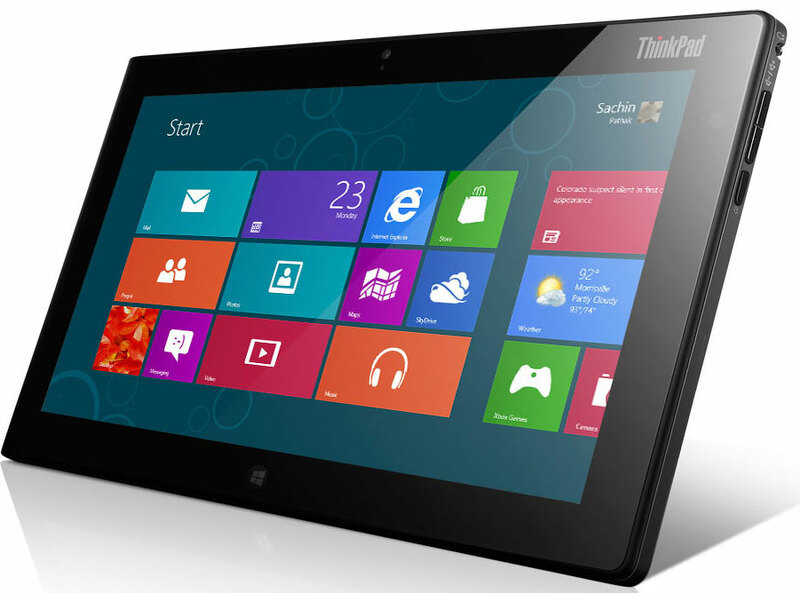 Lenovo ThinkPad Tablet 2 features Intel Atom Z2760 processor which ensures Windows 8 32-bit compatibility. This helps tablet to work with user’s corporate network protocols and enterprise apps. It directly means that one can use plug-ins and browser for your business rather than being limited to only Internet Explorer. Table 2 lags other Atom-powered rivals such as Acer W510 and Dell Latitude 10 on Handbrake test. For everyday task and any corporate information retrieval or media playback, if you have this device then it is fine. But in case you want to work on graphics creation within deadline then you should opt for better powerful machine like Intel core processor. Users who are more comfortable with Windows 8 and look for PC experience without any compromise should try Lenovo ThinkPad tablet 2. The lightweight portable hardware and sleek design lists it among the very rare devices. The uncommon ThinkPad elegance is there to please the users. Lenovo ThinkPad Tablet 2 is highly expensive, considering, lack of USB 3.0, 64GB SSD and low atom performance. Unless a user is looking to spend less amount of money, we don’t see any valid reason to bother about this device. The price worth paying and a user will be awarded with highly pleasant experience in long run. Lenovo ThinkPad Tablet 2 is one of the best-looking Atom Windows 8 tablet with keyboard dock option which is truly excellent. Its ability to offer long battery back-up makes it highly desirable for travel. Lenovo’s this recent Windows 8 tablet scores high with unique industrial design but adding necessary accessories makes ThinkPad Tablet 2 extremely expensive for what a user gets.